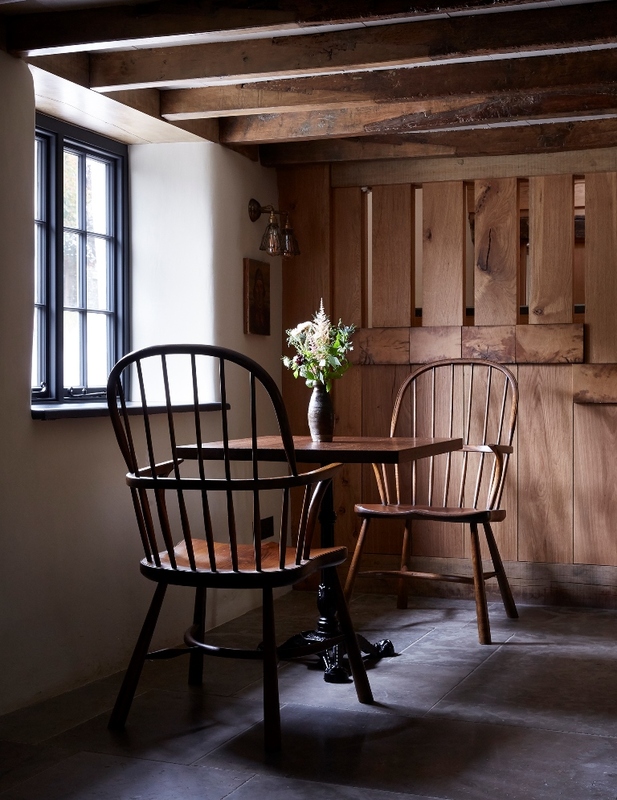 The Farmer’s Arms, a Grade II listed, thatched roof local pub dating back to the mid-17th century, has undergone a major renovation as part of a wider ambitious rejuvenation of the village of Woolsery in North Devon. 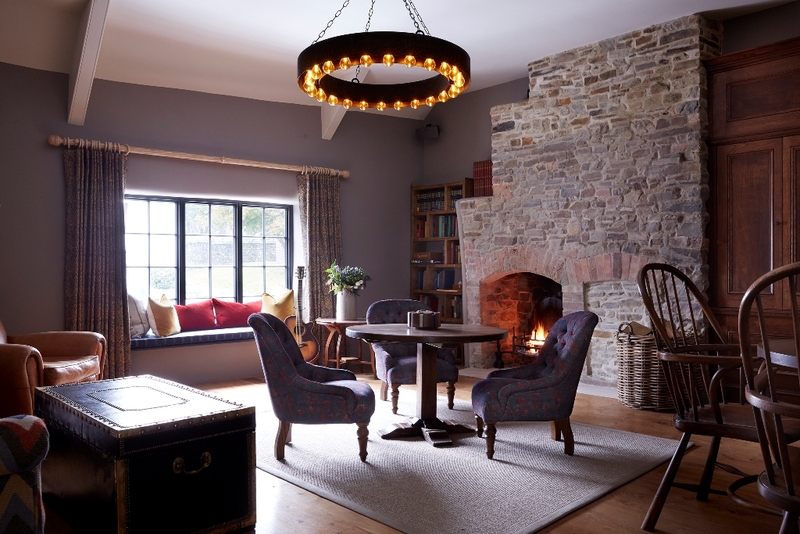 The former blacksmiths-turned-inn has been transformed into a beautiful pub and restaurant, with two bars, a dining room, a small upstairs lounge and garden with outside seating. The Farmer’s Arms was purchased in 2015 by Michael and Xochi Birch – co-founders of social networking site, Bebo. Michael, who has family ties to the area and whose grandmother was born above Woolsery’s village shop, heard the derelict building was for sale and couldn’t turn down the opportunity to bring it back to life. 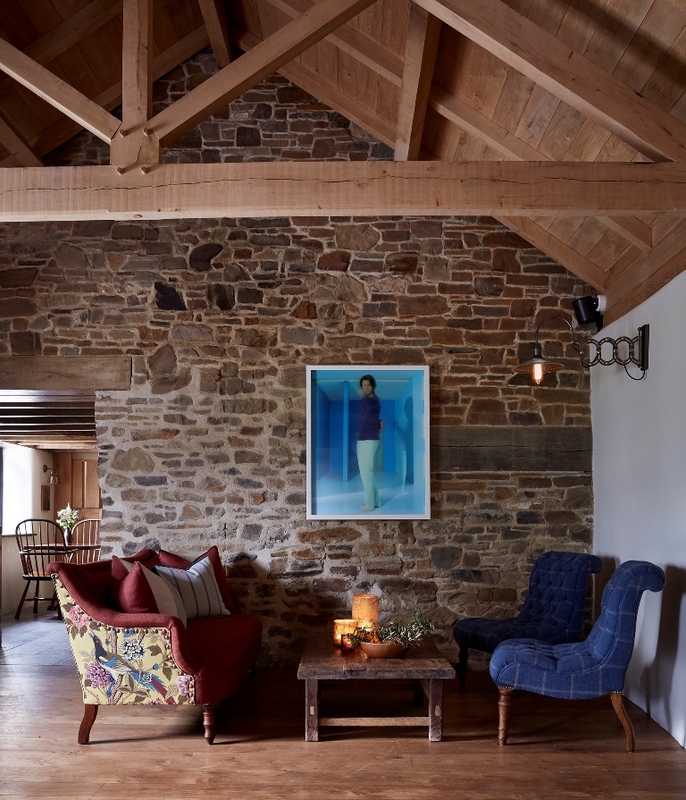 The historic building had suffered neglect for many years, but has now been sensitively reimagined, the fallen through roof re-thatched, the walls rebuilt, and reclaimed oak floors laid. 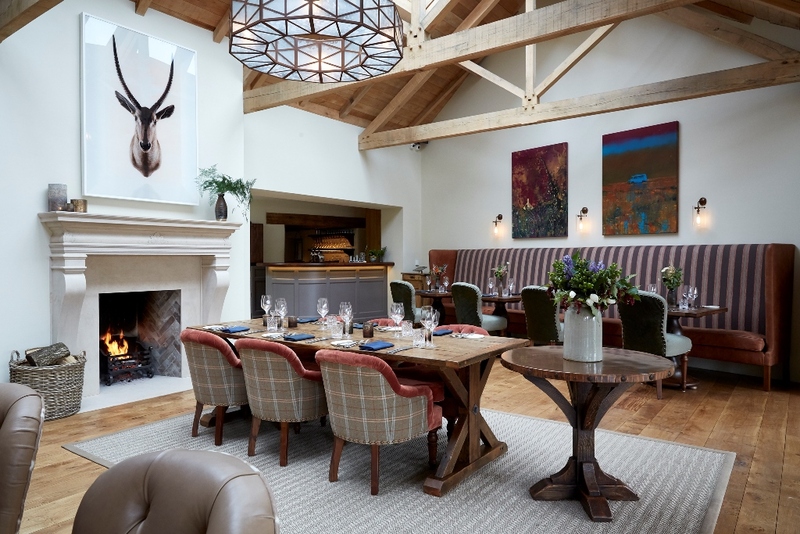 Ian Webber, formerly head chef at Michelin starred Gidleigh Park Hotel in Devon, is Executive Chef of The Farmer’s Arms. 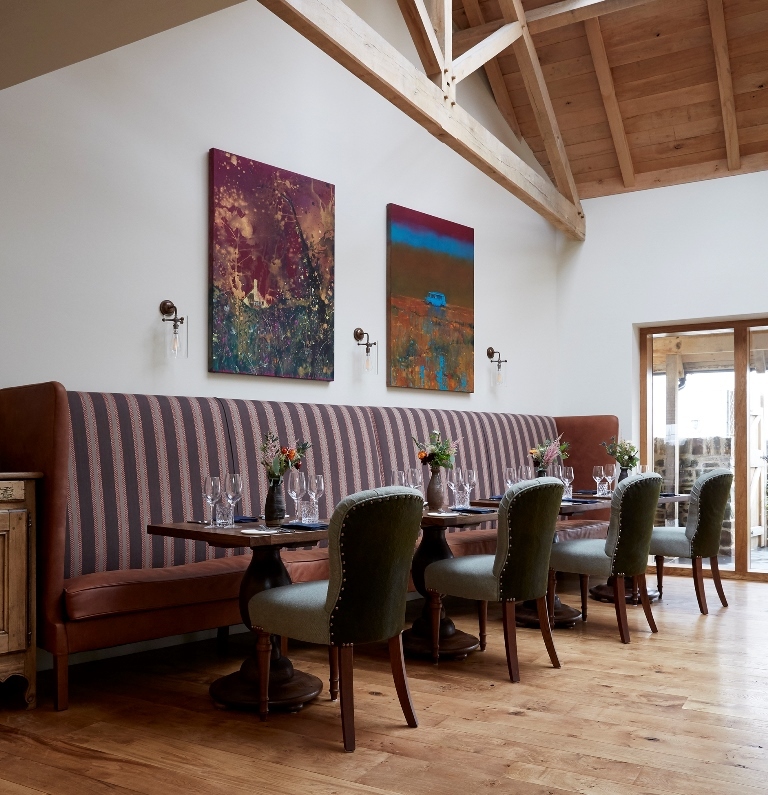 Originally from Devon, Webber’s passion for local sourcing is evident in his cooking, with the menus focusing on local farming and suppliers, foraged herbs and regional dishes. There are two menus available – a rustic, hearty traditional bar menu served in the pub and a more refined option served in the restaurant, where the spotlight is on local ingredients and balanced flavour combinations. This menu is available in the Shippon, West Barn and 10-cover private dining room. 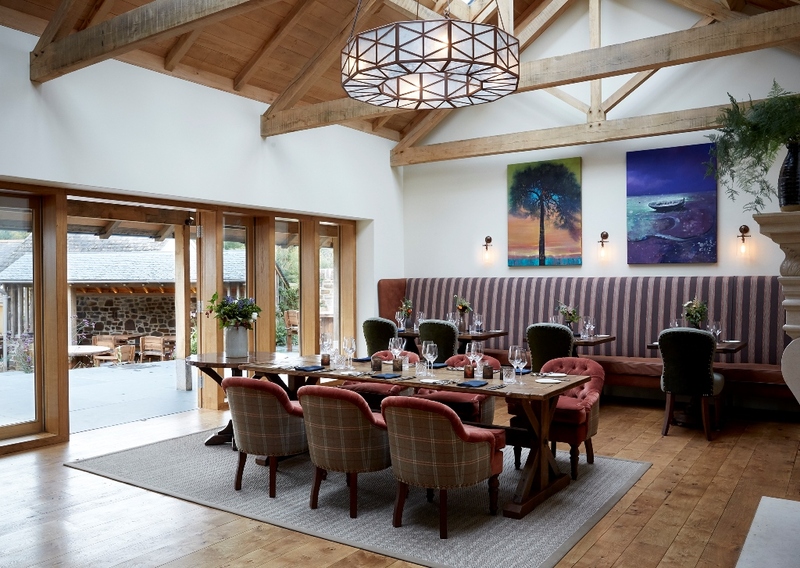 Dishes served at the Farmer’s Bar and Public bars include; Homemade pork scratchings with sage and onion; Mutton stew with smoked garlic mash; Fowey mussels in cider, tarragon and cream served with natural ferment homemade bread and an array of hearty and fresh sandwiches. Guests can also order takeaway from the Woolsery Fish and Chip Shop which was bought and refurbished by the Birch’s in 2015. 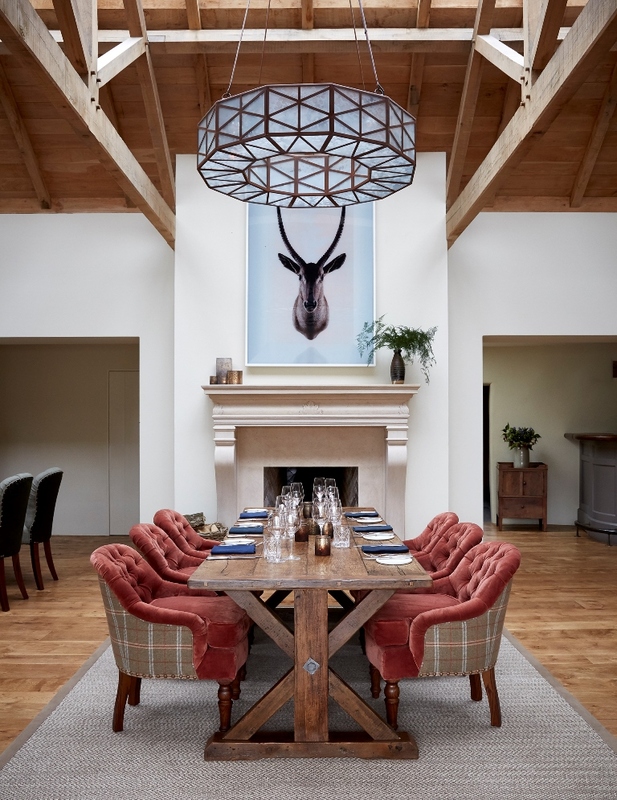 In the main restaurant, Ian has curated a menu championing local farms and suppliers. Typical dishes include; Heritage carrots, venison broth, burnt onion and juniper; Duck liver, runner beans, gooseberry and mustard; Cod and smoked mussel, purple sprouting broccoli and elderflower buttermilk; Barbecued celeriac with brill, lovage and lemon thyme and John Dory, apple, crab and anise hyssop. For dessert, Webber offers a selection which showcase the best of the South West including; Pickled strawberries, elderflower vinegar, nettles and gooseberries; Lemon herb tart with sorrel, begonia and yoghurt sorbet; roasted white chocolate with raspberry, pistachio and lemon verbena and Devon blue cheese, served with quince, honey and pickled walnuts. In the oldest part of the building, guests will find the Farmer’s Bar. 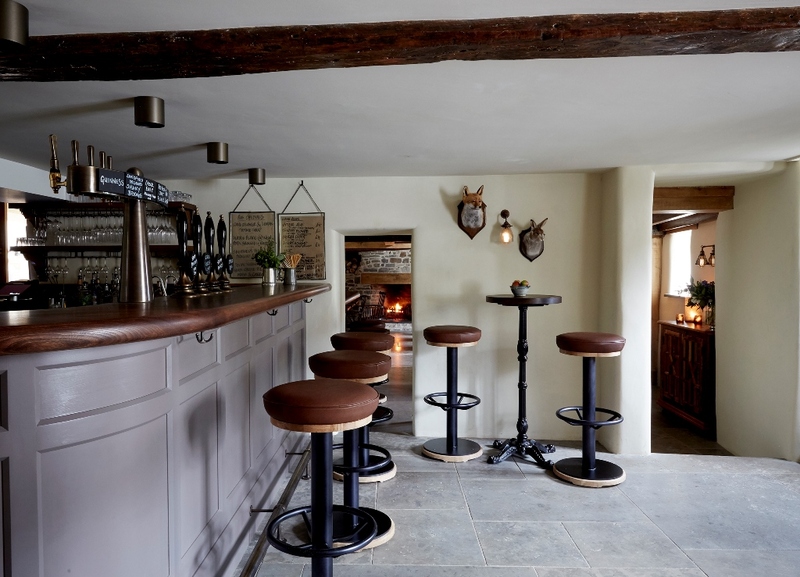 A cosy, rustic space, the bar has been created using authentic reclaimed oak and beamed ceilings. The Public Bar next door offers more room for guests to relax, designed with warm colours and comfortable seating. 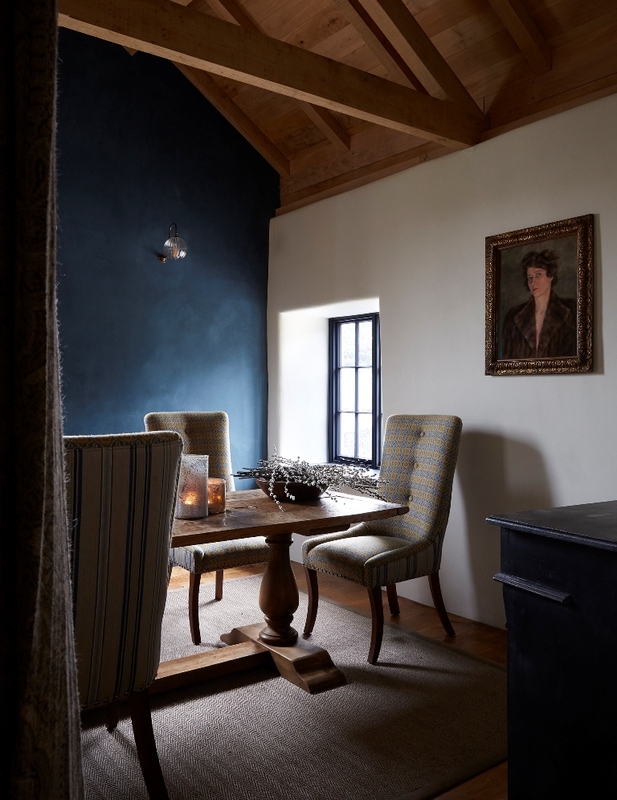 In the West Barn, guests can find both a lounge and dining space. The Shippon next door is a bright dining room, with high ceilings, a wall of glass doors leading out to the garden. 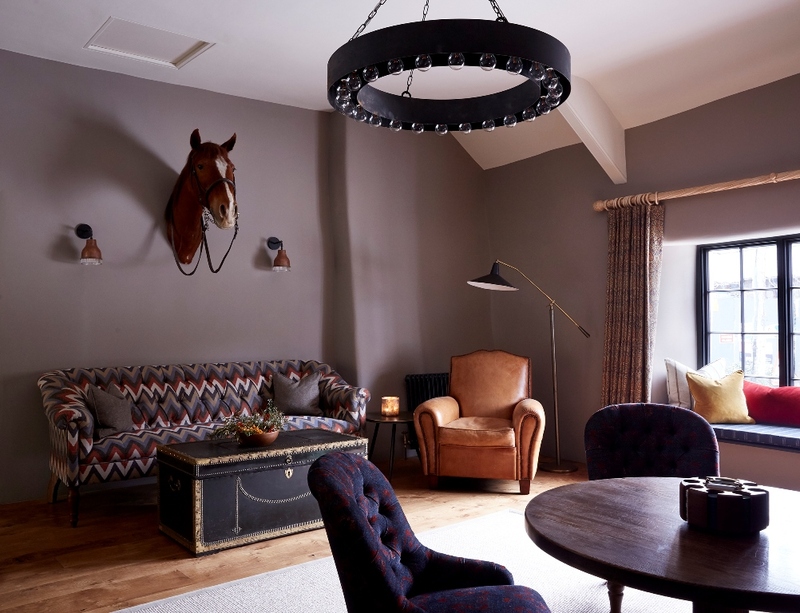 The overall aesthetic, designed by Hannah Lohan Interiors, has been carefully thought out to evoke the feeling of a traditional pub, with a modern twist. 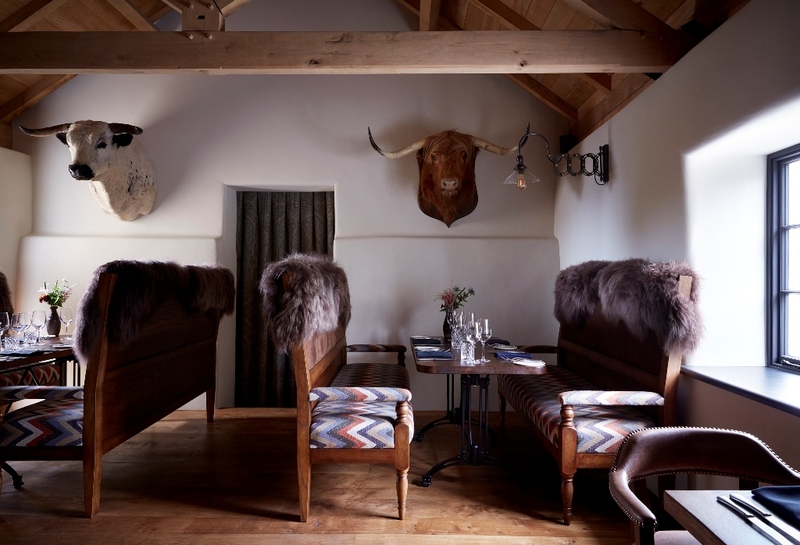 Across the buildings, there are four open fireplaces, natural flagstone flooring working in harmonious juxtaposition to the rich coloured fabrics, contemporary art and playful taxidermy – lending the venue its individuality inspired by its owners. The opening of The Farmer’s Arms is part of a wider project within Woolsery village. After Michael and Xochi purchased The Farmer’s Arms, further businesses and cottages were offered to them one by one, leading to The Woolsery Project. Another aspect of the project is the 70-acre farm. It will be a short stroll from the village and be the heart of the project, supporting all the food and beverage outlets. The land will consist of 16 acres of orchards, kitchen garden and flower gardens, as well as a home to an array of heritage breeds such as Devon Ruby cattle, Gray Faced Dartmoor sheep, Devon Large Black pigs, as well as flocks of chickens and ducks. The farm team will work with chef Webber to supply the kitchen with unique ingredients to create a flavour profile around and incorporated into the menu. Jenny Hayns has been appointed Head Grower to implement the practice of agroforestry, which integrates trees and shrubs into crops and pasturelands. This method promotes biodiversity and will make the farm a beautiful and unique place to visit. The project includes the refurbishment of the recently reopened Farmer’s Arms pub and restaurant, Woolsery Fish & Chip Shop, The Village Post Office and Shop (currently open but will undergo a renovation in 2019), four guest cottages located in the village centre and a hotel set within a Grade II listed Georgian manor house – all set to open in 2021.